Think you know your VWs? Prepare to enter the mystifying world of VW's Chinese joint ventures. You will be humbled. The trick is that Volkswagen in China isn't actually one company. 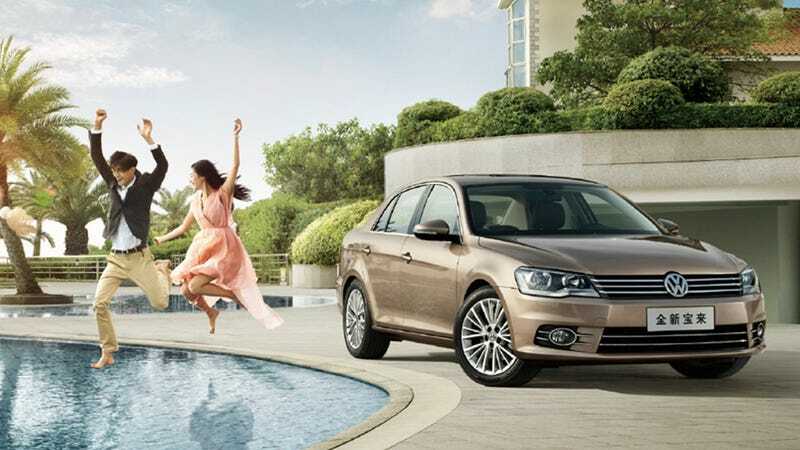 It's split across two joint-ventures: FAW-VW and Shanghai-VW. Both sell nearly identical cars, but with some slight variations and different names. To an outsider, it's an incomprehensible mishmash of body styles stretched across old platforms. You end up with Polos that are Jettas and Passats that aren't Passats and Santanas and Lavidas and who knows what the hell else. Take this little quiz right here at China Car Times and see if you can identify all of China's VWs. Post your best score here in Kinja. If there's a better way to waste time this Friday, I don't know what it is.